La Santa Cruz is a tradition that defines Riviera Nayarit, a magical destination where natural wonders and culture are intertwined. The event will take place at La Cruz de Huanacaxtle next May 3rd. Starting on April 25th, and extending for nine days, the whole town celebrates while the bells in the small church toll, and the streets are filled with stands that offer food and traditional games, and the sky is painted with the colors of fireworks. However, the most anticipated event is a large religions celebration called La Santa Cruz, taking place on May 3rd. The town has embraced this celebration and made it its own, and as one popular saying states: “the name bears the penance”, and they have named their town La Cruz de Huanacaxtle. However, the original name of this town is not based on this religious celebration. 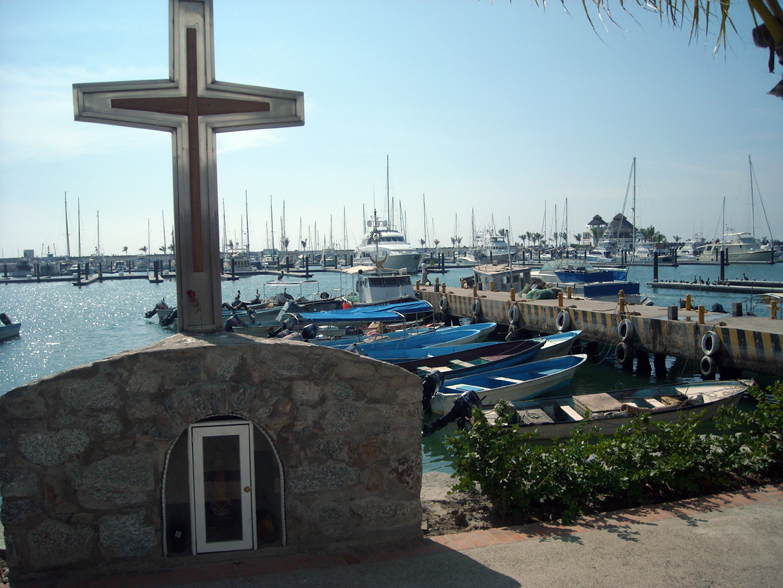 Although the town’s name is La Cruz de Huanacaxtle, the origins of this name remain unknown. There are several possibilities, like the abundance of this tree in the region, or even a legend that says that a peasant traveling in the area of the Bahia de Banderas valley towards Punta de Mita found this beautiful location and rested under the shade of a huanacaxtle tree. The peasant liked the place so much, that he decided to mark a cross in the tree before leaving, with the conviction that some day he would come back to this place, identify that tree which gave him a break from the sun and would build his home there, thus creating the name La Cruz de Huanacaxtle (The Cross of Huanacaxtle). The truth is that no one can verify this story, and at the entrance of town there is a huge cross, made out of wood and adorned with pink, purple and blue decorations during the festivity. These three colors embellish the town on May 3rd. However, the most impressive feature is the passage of the local fishermen’s boats on the water. These boats set sail early in the morning, decorated with these three colors and displaying the Santa Cruz (Holy Cross). Later in the day they go back to church to attend mass. This simple but beautiful celebration that is one of the many reasons that set Riviera Nayarit apart from other beach destinations.